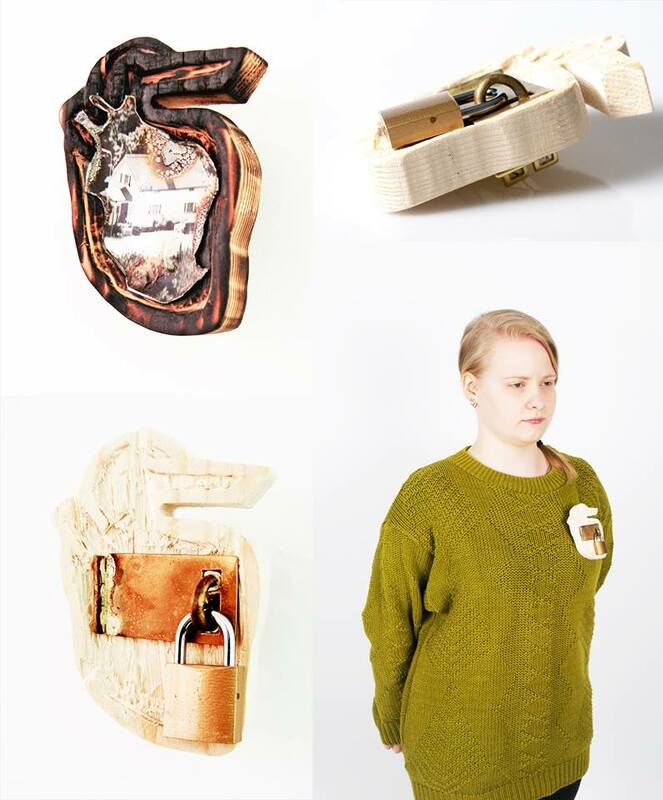 Title: ‘Koti on siellä missä sydän lepää’ – ‘Home is where the heart lies’ (Two Brooches). Materials: Wood, brass, photograph, a bought lock. “At the moment I feel like I don’t really have a home. For two years now I have lived in Imatra and it doesn’t feel like home to me at all. Even back in my hometown Lahti I don’t anymore have a place to call home since my childhood home was sold and at the time it shattered my heart. I do have friends and family there that I visit often but it never feels the same because I don’t have a room of my own anywhere.